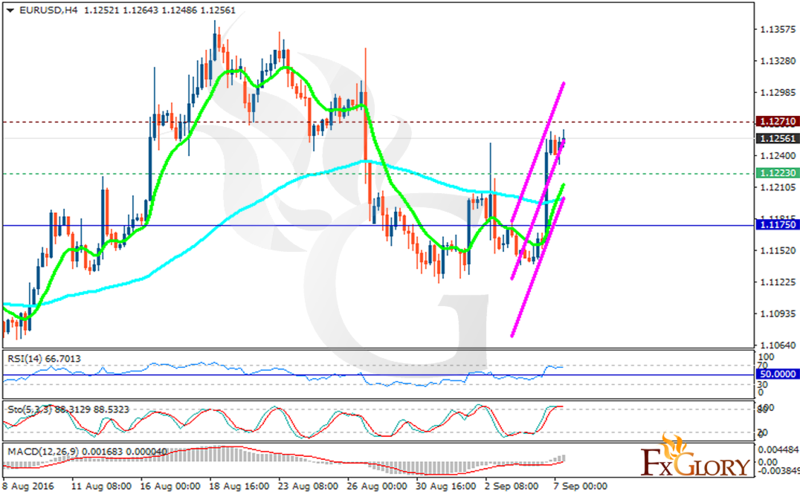 Non-Manufacturing PMI weakened USD and caused a sudden growth of EURUSD. The support rests at 1.12230 with resistance at 1.12710 which both lines are above the weekly pivot point at 1.11750. The EMA of 10 is moving with bullish bias and it has already crossed the EMA of 100. The RSI is moving in overbought area, the Stochastic is moving on its maximum rate and the MACD indicator is in neutral territory heading up. The resistance breakout will support the price growth towards 1.1350 however the support level breakthrough will smooth the way for further decline targeting 1.1130.